Many articles have been written on the importance of the patient experience and its impact on healthcare organizations. It is apparent that we all know “what” needs to be done, but do we know how to make it happen and make it sustainable? Simply creating a program or session that every employee is required to attend is not enough to change the mindset of the staff. This educational component is just the beginning of creating the new culture; it’s the easy part. What comes after the training is where the change really begins. Every patient experience program has good intentions at the start. The heavy-lifting is in the continual learning and adjusting. At Mercy Health, we’ve had the opportunity to create an excellent patient experience from the ground-up with our new imaging centers. When you are able to hire all new staff, it gives you leverage during the interview process to really hone in on choosing the right mix of folks to carry out your vision. Our first outpatient imaging center has been open for over three years and continues to receive the highest possible scores on our patient satisfaction surveys. It started with a vison for what we wanted the patients to experience, and has continually adjusted using the real-time feedback we receive from the survey cards. The staff is empowered to make decisions on service recovery when we don’t meet the patient’s expectations. Setting expectations is key. If the staff are unaware of what is expected of them in their daily interactions with the patients, it becomes very difficult to hold them accountable for their performance and behavior. Accountability is also essential to sustaining excellent results. Accountability is achieved by providing prompt feedback to the staff regarding patient encounters – good or bad. Encourage the behaviors you want to see and hear, and coach on the behaviors you want to change. Providing scripting to the staff to use in their everyday encounters provides clarity and consistency. It can be grueling at the onset of implementing a new experience expectation; however, it will pay dividends in the end. Celebrating the wins is important, fun, and aids in encouraging the staff to maintain this level of excitement around the patient experience. While building these principles from the ground-up may seem less difficult with new staff, the same culture creation is possible with an existing team. We recently opened two cancer centers where we moved the existing staff to the new locations. The same path was followed in creating the culture – it was a complete reset of the experience. The staff were brought together to discuss and plan what a world-class patient experience should look like. A document of non-negotiables was created, the expectations set, and the course set for holding each other accountable. These facilities have been in operation for six and two months respectively. The patient survey results have been extremely positive, but we know there is always room for improvement. 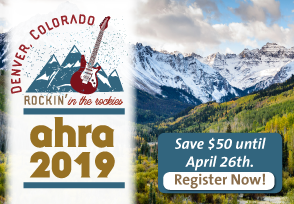 Join me and my co-presenter Michelle Rowe, the oncology service line leader at Mercy Health, at the AHRA Spring Conference on Saturday March 11 from 4:15-5:15 PM to learn how you, too, can Create or Reset a Culture of World Class Experiences. Sandy Michalski CRA, MBA, RT(R) is the service line leader- imaging at Mercy Health, St. Vincent Medical Center in Toledo, OH. She can be reached at sandra_michalski@mercy.com. Congratulations on changing behavior and culture, two of the hardest to achieve!